The executive has confirmed rumors that the company is working on a folding device. 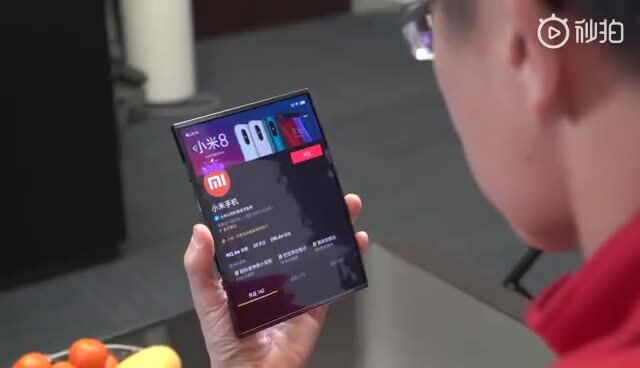 Xiaomi truly is working on a foldable phone, company president and co-founder Lin Bin has confirmed in a teaser he posted on Weibo. In the video, you'll see the executive using a tablet-sized gadget -- until he folds its sides and uses it like you would any phone. Its UI even automatically resizes itself to occupy just the middle part of the screen, so you won't have to flip the device to look at the folded parts of the display. To make it as authentically phone-like as possible, the company put a power button at the top-center of the device when it's held in landscape mode. That way, the button will still be easily accessible when it's used as a phone. Bin wrote in his post that the form factor, which "perfectly merges the experience" of a phone and a tablet, is the result of the company's work on foldable displays, folding hinges and other technical challenges. He also said that it's just a prototype at this point, and that the company "will consider mass producing it" if it gets positive feedback from consumers online. Xiaomi has two possible names in mind for the prototype -- Mi Dual Flex and Mi MIX Flex -- but it's also looking for suggestions.